Hello everyone :) Today i'm going to share with you the review of Laneige Snow BB Soothing Cushion. I receive the sample at ION. While i'm on my way to go buy some stuffs with my Love. Pass-by this Chinese lady and she giving me out a card and it says that I have to go to the Laneige counter to redeem the samples. So, after buying some stuffs, I went to the Laneige counter which located at ION Orchard #B3-66A. When I already reached there, I have to fill in the form. Once I finish filling down the form, I was given 3 types of samples. Which is, the Laneige Snow BB Soothing Cushion, White Plus Renew Original Essense & White Plus Renew Night Cream. - A new-concept cushion-type BB with five active ingredients for Whitening + Sunscreen + Sweat-proof + Soothing + Makeup contained in the cushion to maximize the refreshing and soothing sensation. Every time you touch it, the air pump in the cushion contains air bubbles for thin and skin-friendly makeup. - Also, it is provided in two separate containers to preserve the active ingredients and their functionality. - The formulas can be used fresh and safely from start to finish. Here's the inside of the packaging. It comes with a sponge. Testing out on my hand before I gently rub it. 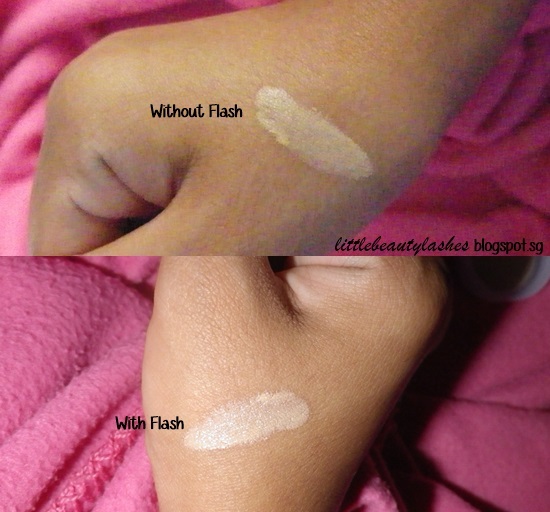 Without flash already look so white. 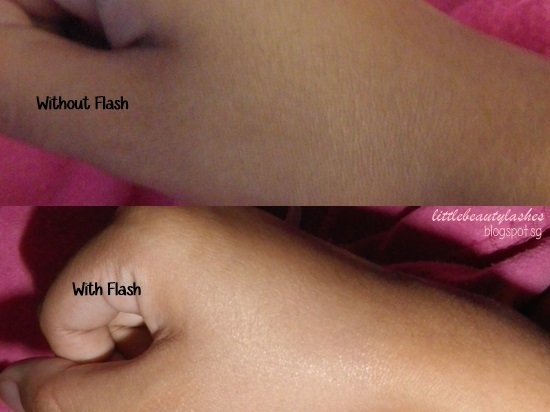 There goes the 2nd picture with flash. Appear to be more white. Still look kinda white there. I did try to apply it on my face just 1 side. Easy to apply. Easy to spread. I love it when it comes without using the flash. But when I take a picture of myself with the flash, I look so white! LOL. Or maybe they giving me the wrong color of my skin tone. Not so sticky. Still okay for me. Did not cover any dark circle or any other spots. It gets a little messy after a few times use it. Look so white when taken picture with flash. If you want to give it a try, you can purchased it at any Laneige counter or you can view any of their products at their website, you can click it Here. Hello thr! 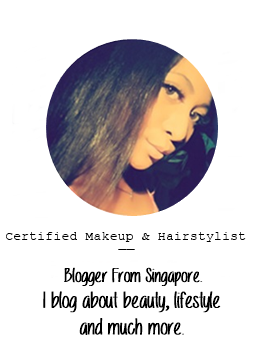 Thnks for following me on bloglovin! I am not able to find the follow button on your bloglovin page!